Barnyard Olympics (Circle Fine Art, R-1980s). Fine Art Seriagraphs (5) (21" X 30.75"). Animation. Starring the voices of Walt Disney, Marcellite Garner, and Pinto Colvig. Directed by Wilfred Jackson. A Walt Disney production. 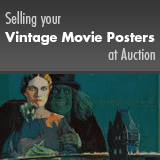 Identical unrestored posters that appear virtually unused. Closer inspection may reveal one or two minor flaws, such as small creases, or light edge wear. Please see full-color, enlargeable image below for more details. Rolled, Very Fine/Near Mint.